EVIDENCE AGAINST DENVER SO STRONG THAT A MOTION FOR SUMMARY JUDGMENT IS FILED IN HOMELESS CLASS ACTION Press Conference and March for our Rights!! Press Conference and March for our Rights!! How: Gather at the City and County Building at 11am. Hear from our lawyers and plaintiffs speaking to the press at 11:15am. March down to the Downtown Denver Business Partnership offices at 16th and Tremont to call out their role in pushing for the sweeps. March back to City Hall to call out the Mayor and his administration’s direction of the sweeps in violation of constitutional rights. Eat food. To Bring: If you have the resources and can bring some food it is a pot luck so bring food to share! Denver, CO—Collected through months of discovery, the evidence against Denver exposes a systematic disregard and violations of the rights and dignity of U.S residents in one of the largest homeless class actions in U.S. history. Exhibit 1, Roy Vincent Browne Deposition. 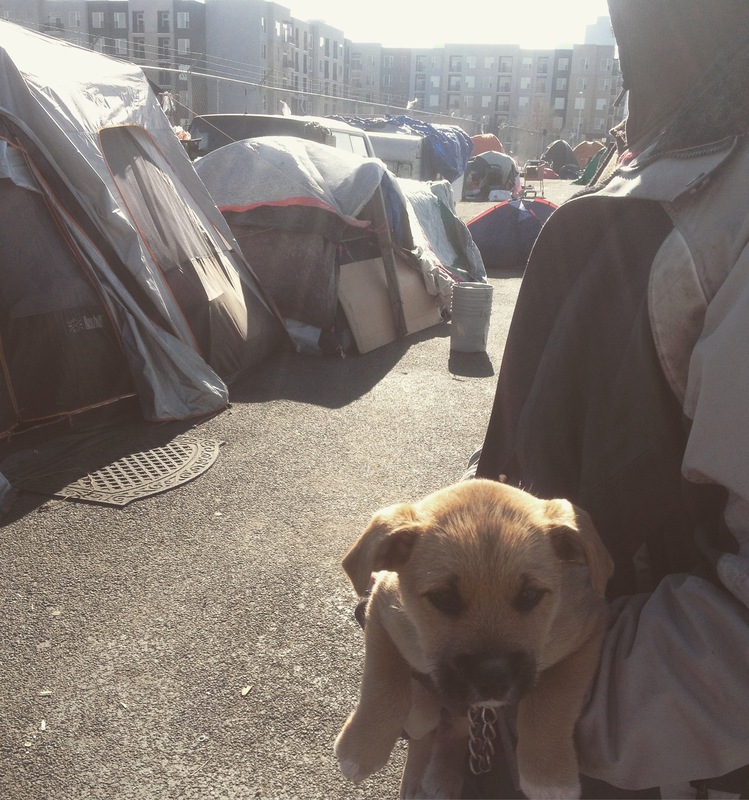 The purpose of the camping ban and the homeless sweeps was not to help the poor, as officials so often claimed, but to get rid of the unwanted in a growing American city. Deposition of Bennie Milliner, Executive Director of the Road Home Program—main program designed to serve homeless persons— stating that the purpose of the homeless sweeps was to keep Denver from looking like Los Angeles. Newly discovered evidence shows that the city used inmates to conduct the homeless sweeps, used flamethrowers to intimidate homeless persons, and after seizing personal property and throwing it in the garbage, held a city-funded barbecue directly in front of the homeless persons who had just been displaced. Copies of emails and newly unearthed evidence will be provided at the 8/14 press conference.